Welcome to Schoolhouse Ice Cream! 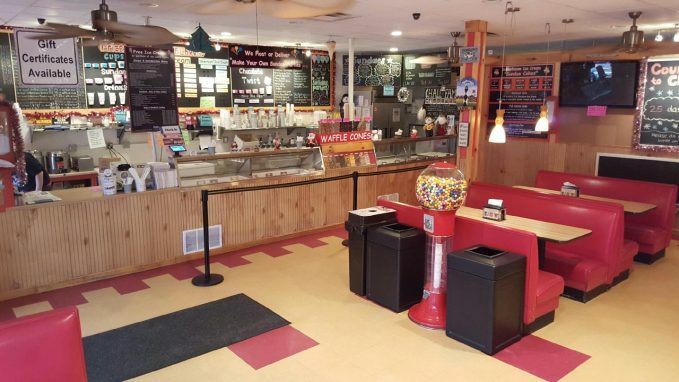 We serve many flavors of super premium homemade ice cream, sundaes, ice cream cakes, lunch (soups & sandwiches) and ice cream parties for home or office! We make our own homemade ice cream from 16% butterfat (super premium quality) and use ingredients that are the highest quality available, such as cocoa powder from Holland and nuts from California. We’re confident that you’ll love it!